Lycoris radiata Extract Galanthamine Hydrobromide, 1953-04-4,Galanthamine,galanthamine hbr,Galanthamine Hydrobromide,Alzheimer - Herbs-Tech - Zhejiang Yixin Pharmaceutical Co., Ltd.
Galanthamine Hydrobromide is a strong (reversible) cholinesterase inhibitor that increases the susceptibility of an organism to acetylcholine, and is an effective treatment for mild to moderate dementia of the Alzheimer's type. 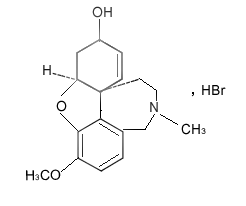 Galanthamine extract is specific, competitive and reversible acetylcholinesterase inhibitor. It is also an allosteric modulator at nicotinic cholinergic receptor sites potentiating cholinergic nicotinic neurotransmission. Both the acetylcholine and nicotine receptors have been suggested as areas related to cognitive impairment. Initially, Galanthamine extract was used in anesthesiology to antagonize the effects of non-depolarizing muscle relaxants, and since then it was rapidly introduced in other areas of medicine, i.e. neurology, ophthalmology, gastroenterology, intensive care and resuscitation, cardiology, physiotherapy. Galanthamine extract is a product with broad therapeutic index, allowing "soft" manifestation of its effect with individual dosing depending on the particular case. Yixin Galantamine is isolated from natural herb, non GMO source; it is produced on basis of extraction and purification process, 100% from nature. 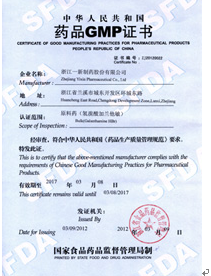 Yixin Galantamine facility was inspected and classified as acceptable by US FDA in 2006, 2011, GMP certificate from CFDA has been obtained since 2005, updated 2018. To ensure the stable supply of Galantamine HBr, a large area of herbs has been cultivated and advanced technology has been adopted to enhance the yield and consistent quality.